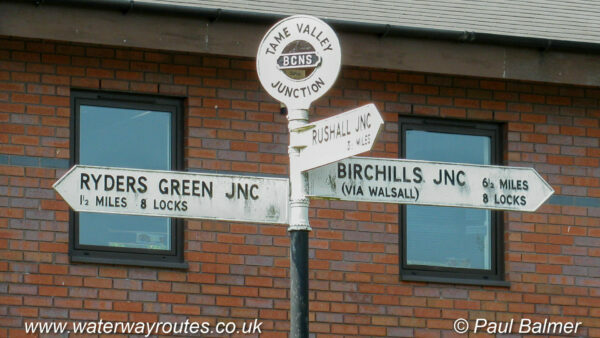 The Walsall Canal runs straight past Tame Valley Junction. It runs from Ryders Green Junction where it meets the Wednesbury Old Canal, to Birchills Junction where it meets the Wyrley & Essington Canal near Walsall. The Tame Valley Canal branches off and descends through 13 locks to meet the Birmingham & Fazeley Canal at Salford Junction.